The house was designed to suit the landscape and to take advantage of the views and orientation. The brief was to fill all aspects of the house with natural light while creating energy efficient spaces. The Signature Classical Sliding Sash Windows range fulfilled the task. 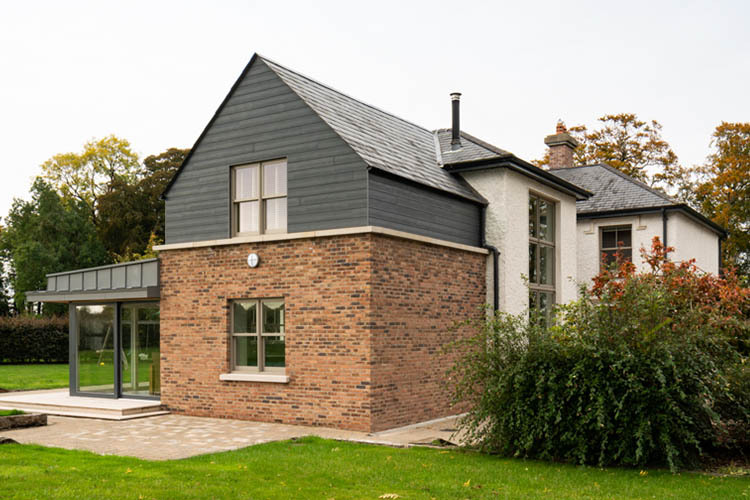 The brief was to create a family home in the form of a two storey traditional style country house with a contemporary twist in a very mature setting in Co. Carlow. The design provides for 5 bedrooms, 2 reception rooms, feature entrance hallway, open place and split level kitchen / dining and family area with a part basement multi-media room and connecting playroom over 4,500 sq ft. The objective was to create a symmetrical design from the front with a warm textured pebble dash finish leading to more contemporary spaces to the rear. The design of the spaces responded to the setting & views as well as the sites orientation. Light filled energy efficient spaces were a requirement to all aspects of the house. Signature Windows were chosen for many reasons. What was most important was the quality of the aluminium clad-wood from the Signature Andersen Classic range and the design suitability of the sliding sash window to a large portion of the openings. Large side hung and top hung Signature Andersen Casement units were also used. 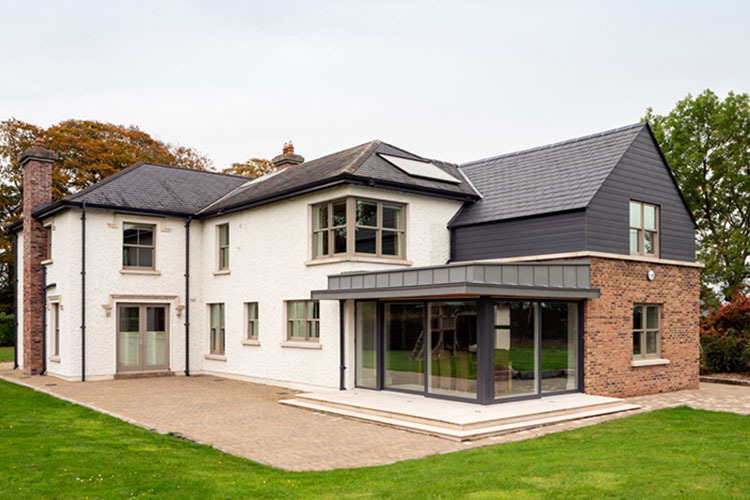 All the windows were selected in the Signature ‘Pebble Gray’ aluminium clad maintenance free exterior. 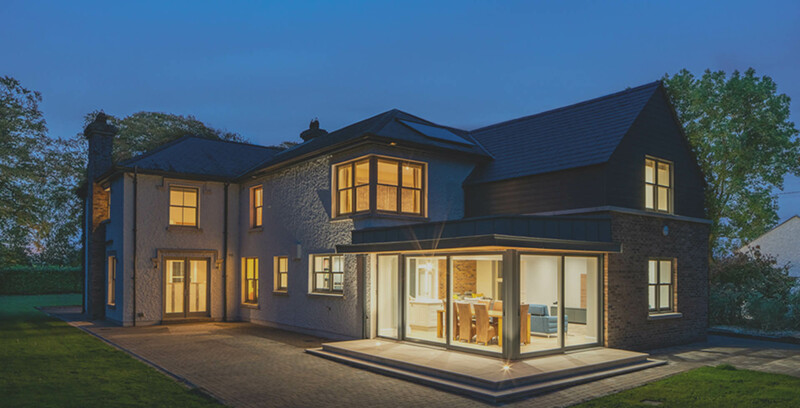 The Windows assisted greatly in the successful outcome of the project adding quality and bespoke character to the new build. 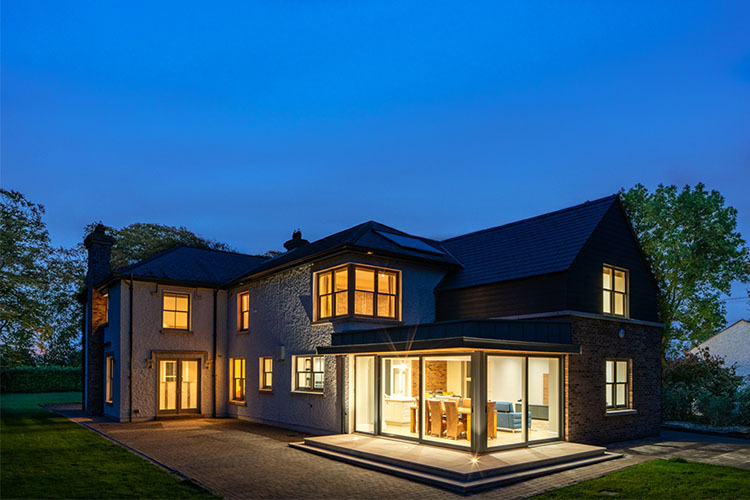 An architect’s own house is always a precious and yet a daunting prospect at the outset, yet in this case, the brief requirements have been fulfilled and result in a luxurious and functioning home in a timeless design. 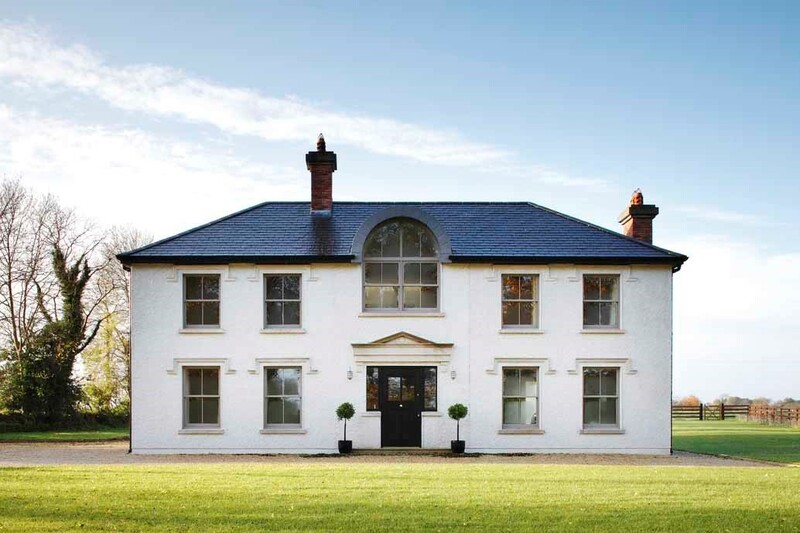 Traditional style country house with a contemporary twist. McLoughlin Architecture 7 Sallins Wharf, Sallins, Co. Kildare.